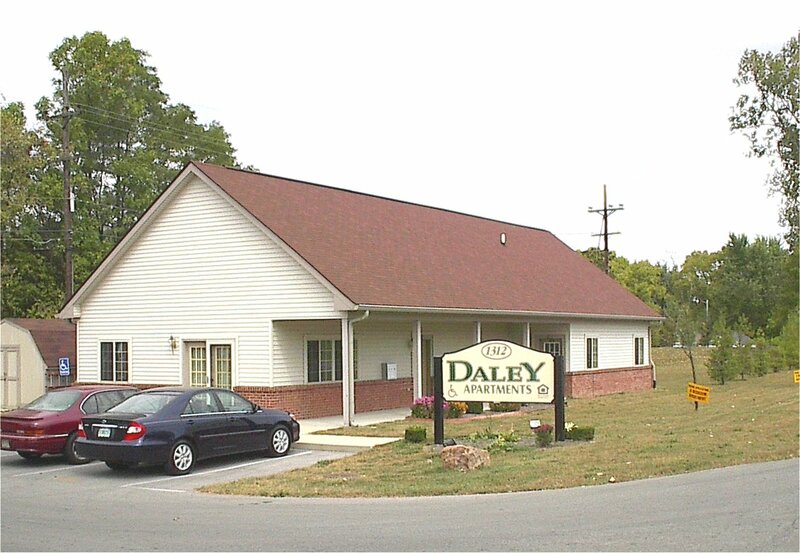 Daley Apartments - Triangle Associates, Inc.
Daley Apartments is sponsored by Future Choices, Inc. 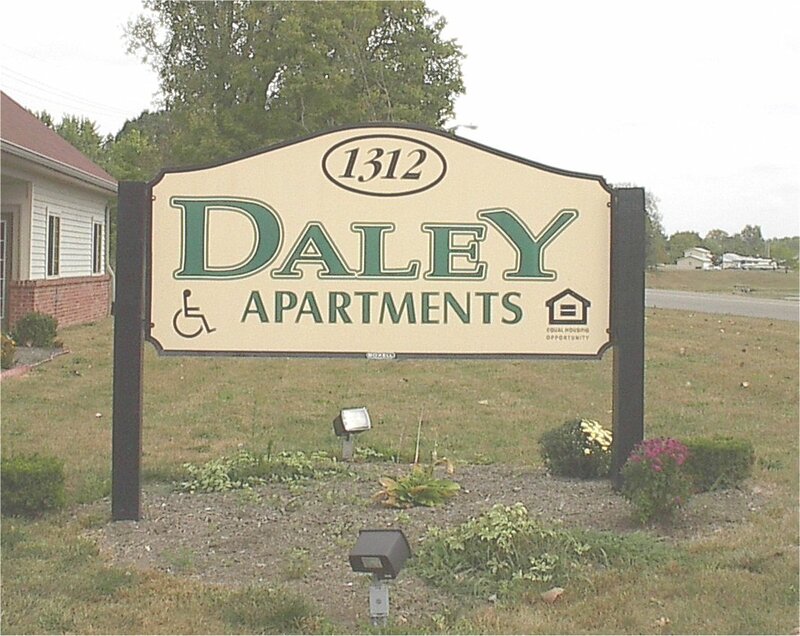 It offers 37 one, two, and three-bedroom dwelling units in a variety of floor plans in Muncie, Indiana. This affordable housing is income restricted and has been made possible as a result of funding from HOME funds and by participation in the Section 42 “LIHTC” program under the Internal Revenue Service Code. 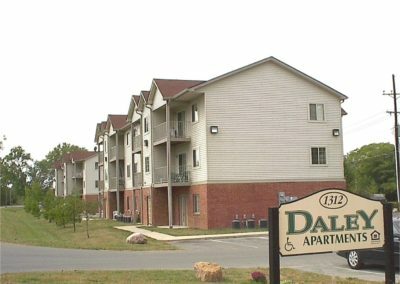 As a part of the Section 42 Tax Credit Program, which is intended to make affordable housing available to lower-income persons and households, income limits apply based on the family size. Applicants must meet eligibility requirements of the Section 42 program and the selection criteria including acceptable credit and rental history. 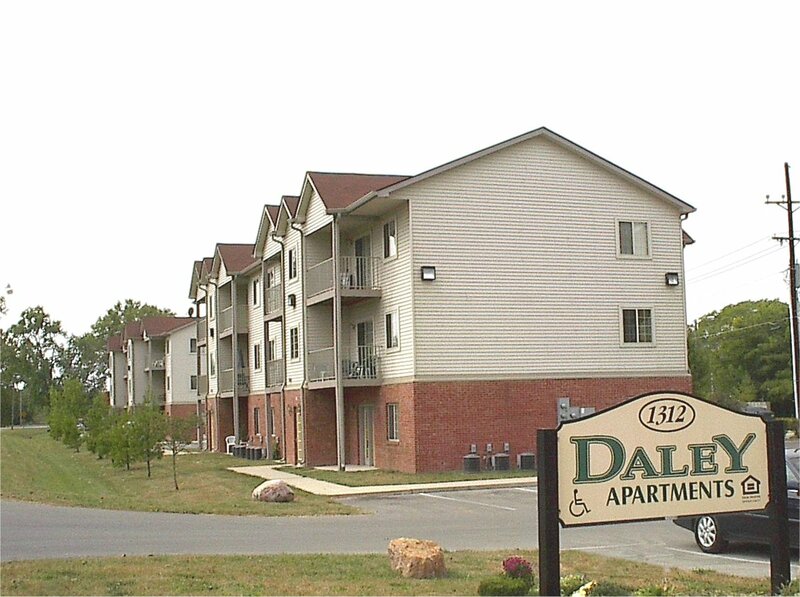 Each apartment has a washer & dryer, dishwasher, range, refrigerator, central air and are fully carpeted. The buildings have access control entries with an intercom system for each unit. 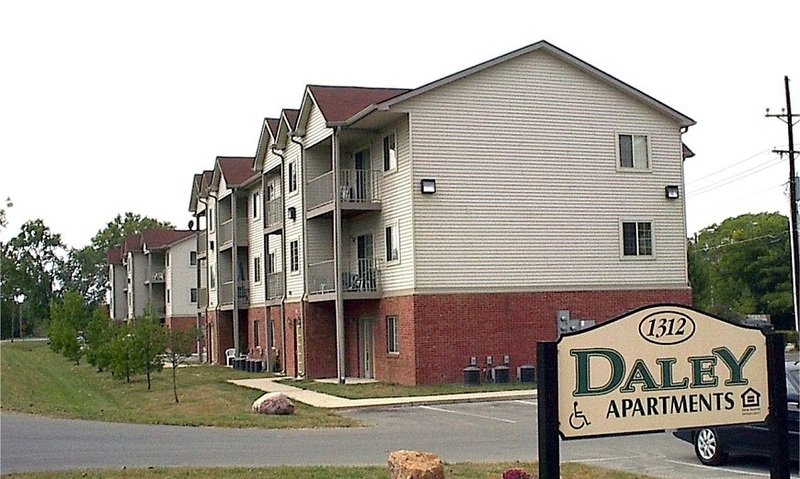 This community is the first inclusive, affordable, accessible housing complex in the nation, designed and developed with funds raised by persons with disabilities. 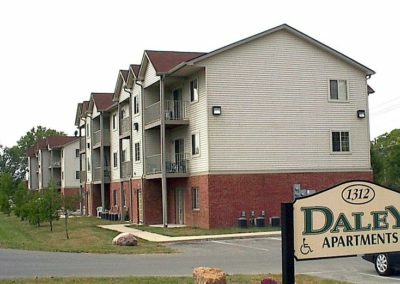 Residents include individuals with hearing, physical, mental and developmental disabilities; as well as single parent families, elderly, young adults and persons without disabilities. 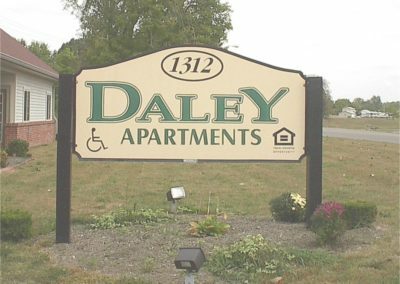 Daley Apartments does not discriminate on the basis of disability status in the admission or access to, or treatment or employment in, its federally assisted programs and activities.